Develop and/or assess large-scale projects or corporate strategies in terms of mission and vision statements (conceptual strategy) using data analysis to validate key focal points. Conduct macro- and micro-market analyses of competitors, suppliers, customers, and other key players using statistical methods (analytical strategy). Implement metrics and scorecards, while validating them with robust analytical tools, to support ongoing growth (operational strategy). Before attending this course, you should have completed or have the equivalent working experience the of Statistics 1: Introduction to ANOVA, Regression, and Logistic Regression course. Conceptual strategy: mission, vision, and values. Analytical strategy: assessing a competitive market. Operational strategy: metrics, measurements, and planning. Aligning our mission and vision. Market participants and forces at work. Assessing variability in our market. Competitive advantage – creating differentiation. Measuring and monitoring: the balanced scorecard. Using scorecards to track progress. Action planning: designing tasks tied to scorecard metrics. 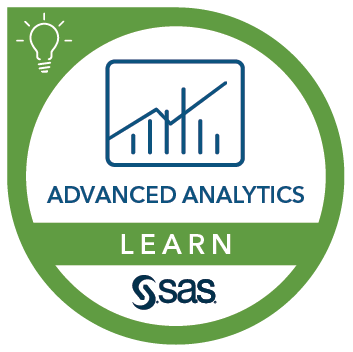 Course review: strategic thinking with analytics. Common pitfalls of strategic plans. Discuss examples of real-world plans with analytics (from participants).